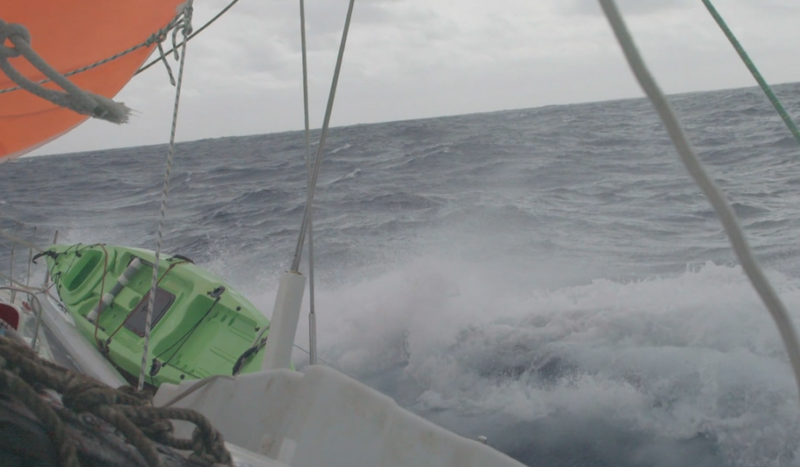 The next two days were about the same, with waves and high winds. 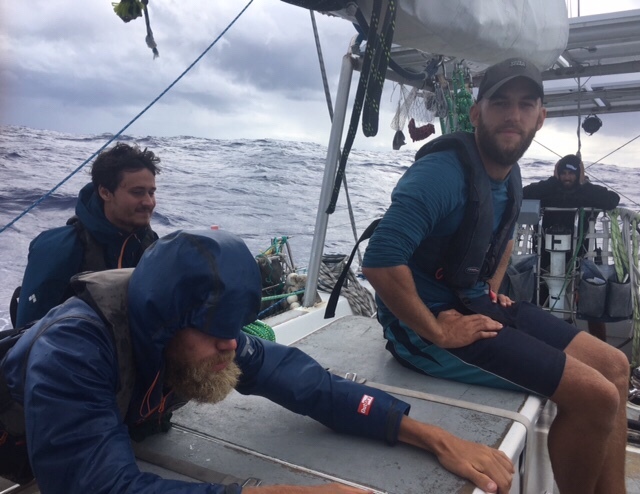 The crew was in a pure sailing mode, which meant different watches and a different life on the boat altogether, no swimming nor data collecting. The only data collected were my microbiome. WRI, our weather forecasting partner kept on updating us about the system. 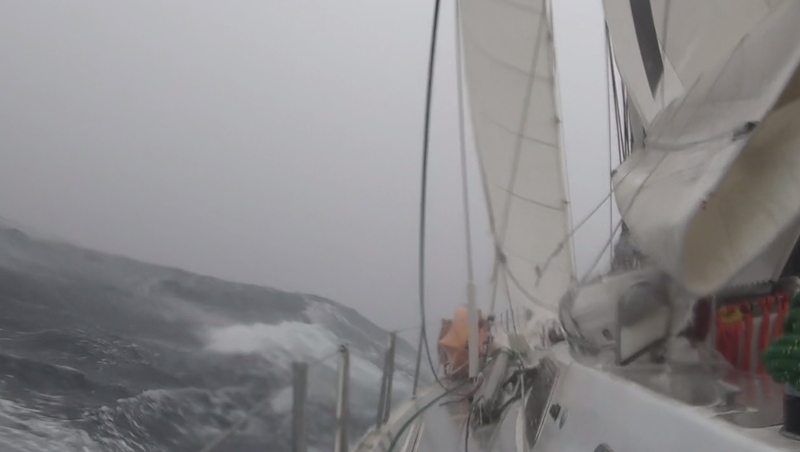 It had turned into a super typhoon with winds of 190 knots and 18 meters waves!!! Wishing you good luck and hoping the stormy weather will pass soon. Be strong, brave people! I hope you have sailed away from the storm and that you’re all safe. Wow…that is an amazingly powerful storm! We here along the southern costal US have experienced some pretty bad storms but never anything anywhere near what you have described…I am in awe once again as to what you all are working towards. And hopefully, will be able to navigate through safely and continue on. Again…your journey speaks out in a way that humbles and motivates to the heroics that you endure. I would hope all of us can truly appreciate that and address this very human created problem in a way that does justice to your efforts. Sincere thoughts and prayers go out to you all.